The 97 meter long freighter Hg Xin Yuan Shun 6 sank off Hui’an, Quanzhou, Fujian, China. The freighter loaded with 5,000 tons of pottery clay was en route to Shandong province when it encountered strong winds and rough seas. The vessel sent out a distress call before it went down. 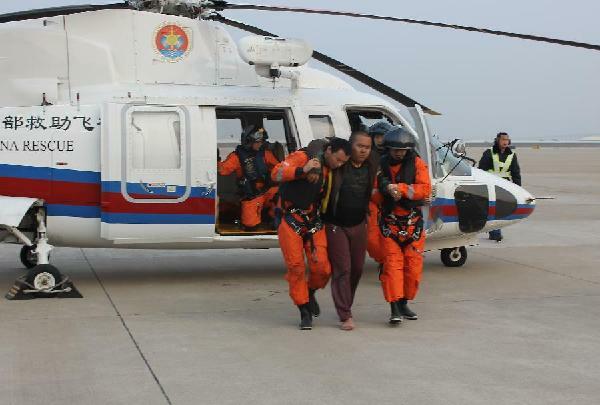 The authorities dispatched several vessels and two helicopters. One crewman out of the 11 on board was found alive and taken to hospital. Eight bodies were also recovered. The cause of the sinking was not reported, but it is suspected a cargo shift in the hold caused the vessel to list and capsize in the bad weather. Authorities also are looking for a possible oil spill from the sunken vessel.